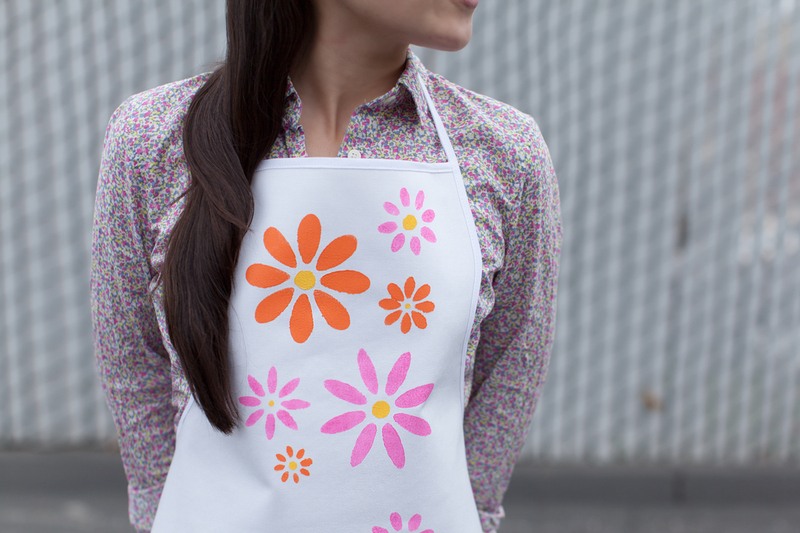 This floral-patterned apron is such a cheerful addition to the kitchen. I love the effect of the bright neon paint, and the opportunities for personalization are endless. 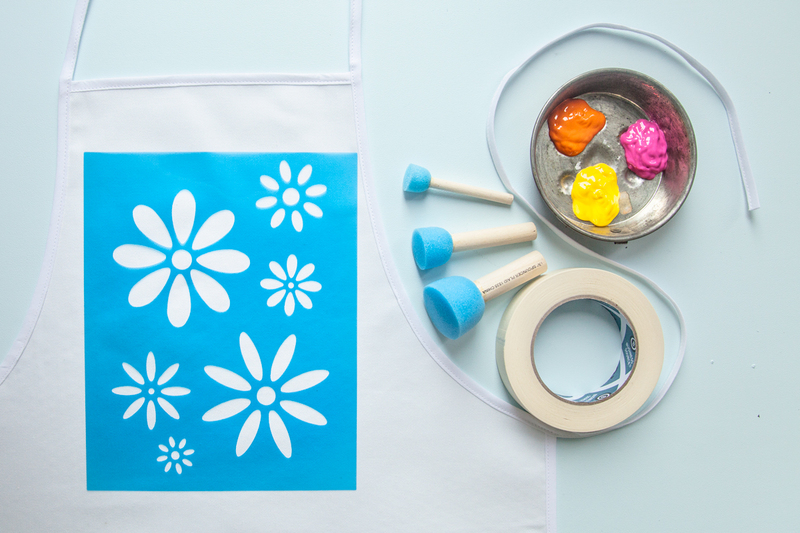 This project makes a great gift for Mother’s Day or birthdays, and by experimenting with customizing the apron, you can create a gift that's unique and will be used for years to come. Gather your materials and iron the apron before painting. Squeeze the colors of paint that you want to use into plates or shallow bowls. Mix the colors if you like! 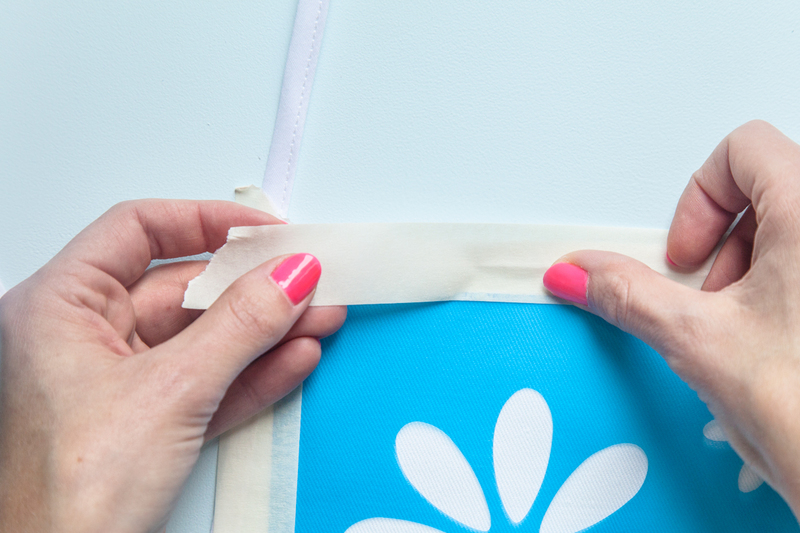 Secure the stencil you want to use to your apron with masking tape. 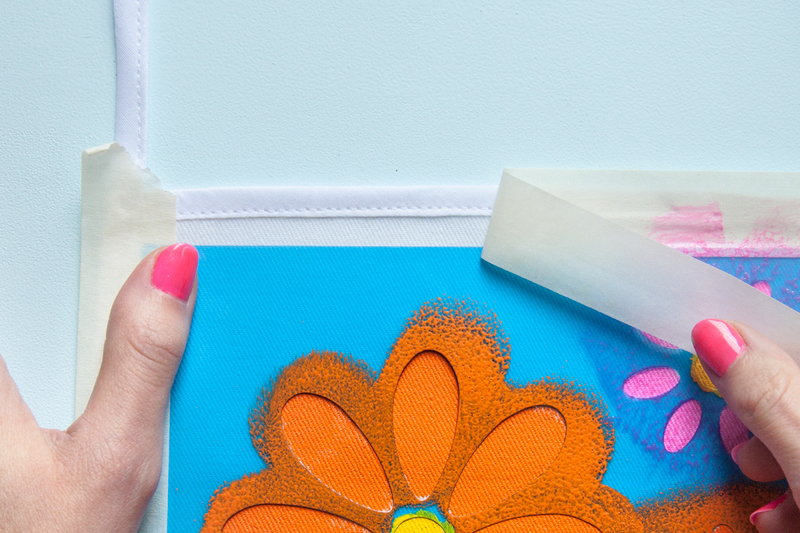 Use a foam spouncer to dab the paint onto your stencil. 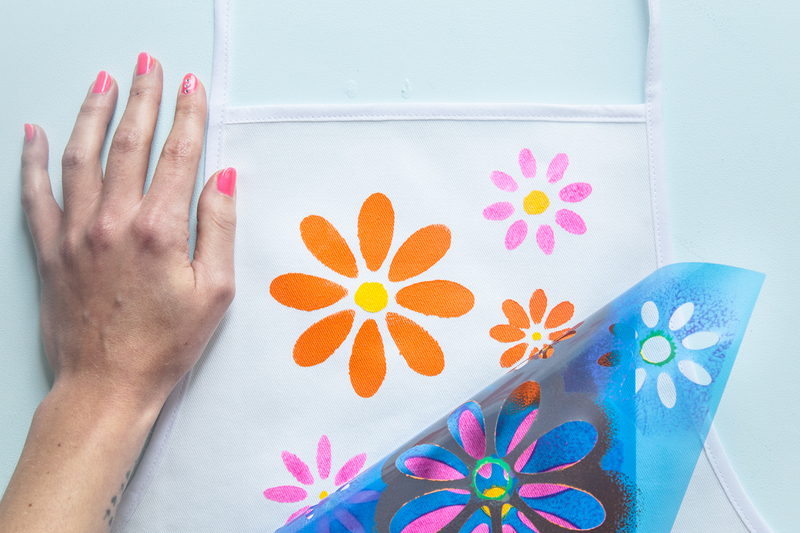 You can experiment with different colors and patterns on your apron design if you’d like. 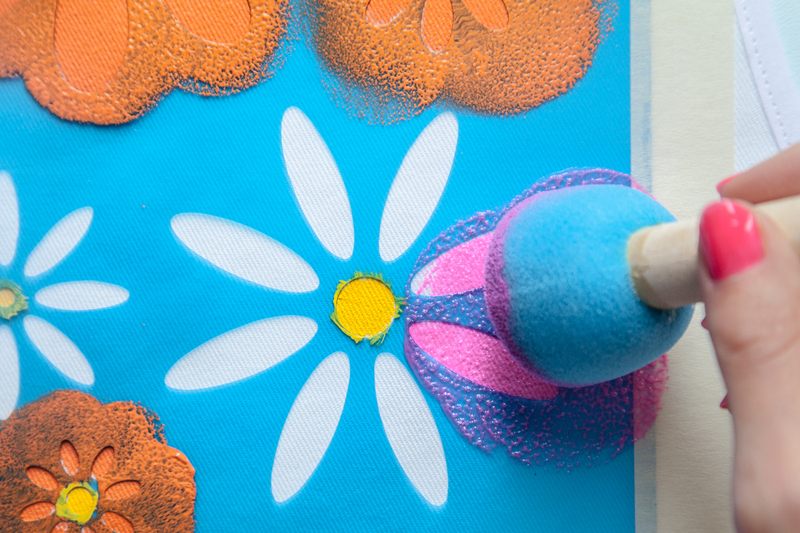 Don’t forget to wash your foam spouncer out each time you switch colors to avoid mixing the paint. For smaller details, I found it was easier to use a fine-tip paintbrush. 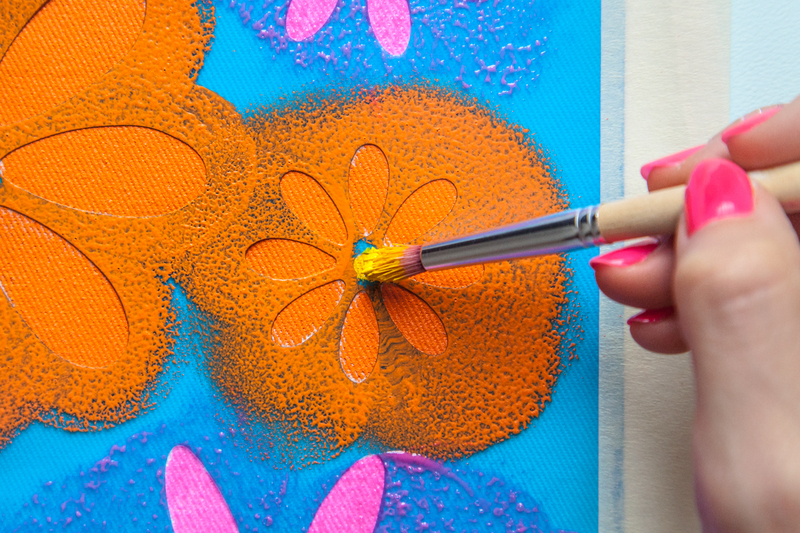 Leave the stencil attached while the paint dries to avoid smears or scratches. Once everything is fully dried, slowly peel off the masking tape. Gently remove your stencil, and you’re ready to cook!